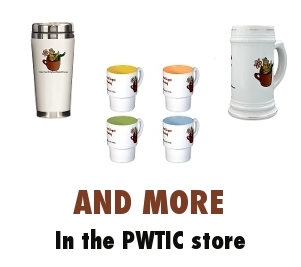 Chai coffees and teas are all the rage these days. 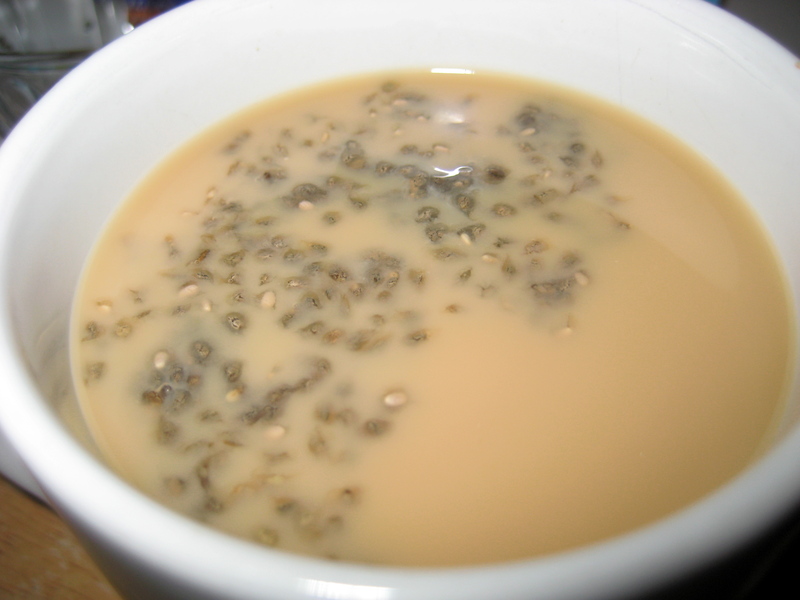 But if you’re not careful, chai could easily be mistyped as chia. What’s that? 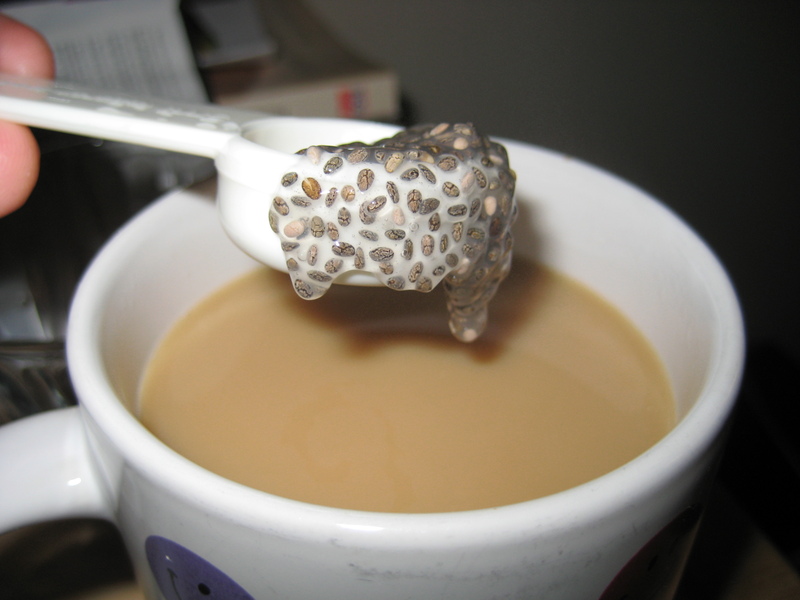 You want me to put the gunk you spread on a Chia pet in my coffee? OKAY! Apparently Chia seeds are not only edible, but nutritious too. The seeds come out as tiny dry pellets. Following the instructions for growing a Chia pet, I soaked them in water for about half an hour, after which they became a jelly-like mass. Honestly, looking at it, this grossed me out more than a lot of other things I’ve tried here. 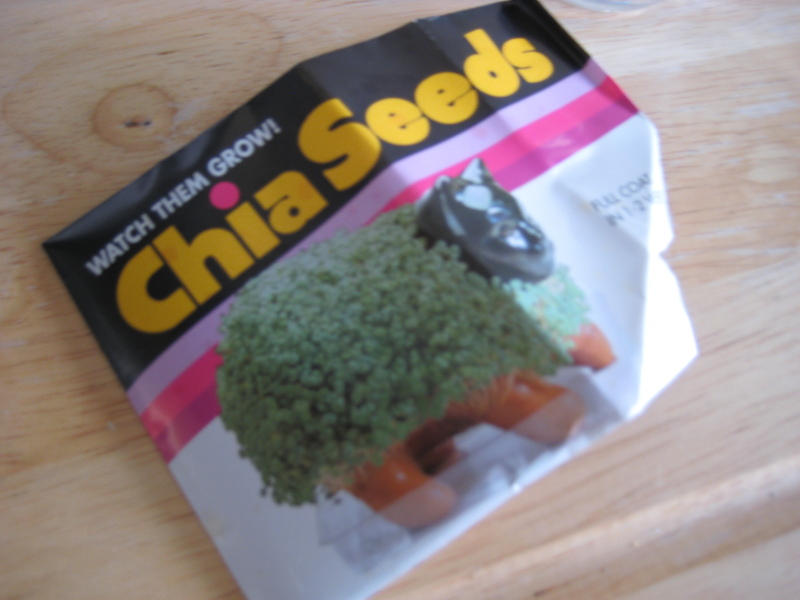 Especially since the Chia pet they came with still haunts my nightmares. But I had to try the stuff on its own before putting it in coffee (to make sure it follows the one rule). The gooey texture was a bit weird, and was followed by some crunchiness that reminded me of poppy seeds. The taste was slightly nutty with a hint of a fresh, citrusy flavour. Definitely edible, so time to add it to coffee. “Luckily,” the stuff floated instead of sinking to the bottom. 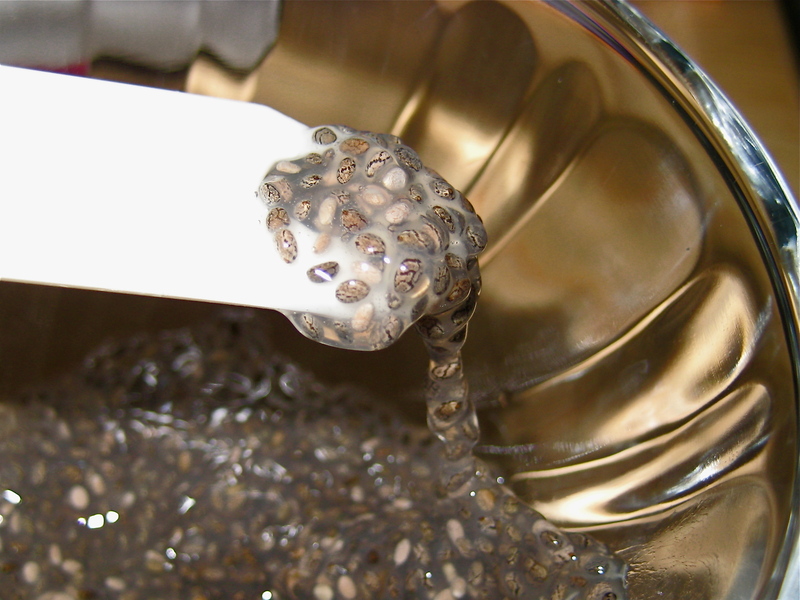 It stayed as a solid mass at first, but with a little encouragement the seeds broke up and whatever chemical sludge holds them together dissolved into the coffee. Bottoms up. You know, this is not as bad as I was fearing. 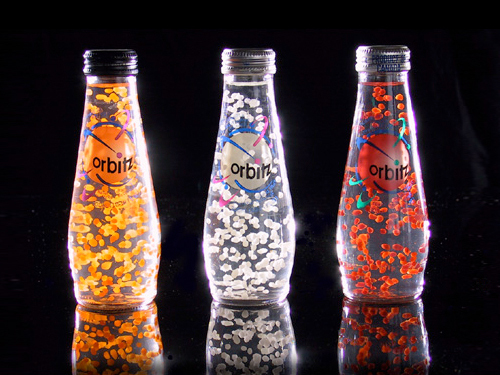 Remember the drink Orbitz? I’m reminded of that, or bubble tea. The solid bits add an odd sensation to each sip as they slip and slide down my throat, but don’t really affect the taste of the coffee. I feel some of them clinging onto and between my teeth, but hey, I was planning on flossing anyway. All in all, I wouldn’t ch-ch-chow down on this every day, but it was a surprisingly enjoyable experiment. I LOVE ORBITZ. The stuff was pretty good, but probably really unhealthy. Funny post! And if you spill, you can always clean it up with a Sham Wow! MM chia! 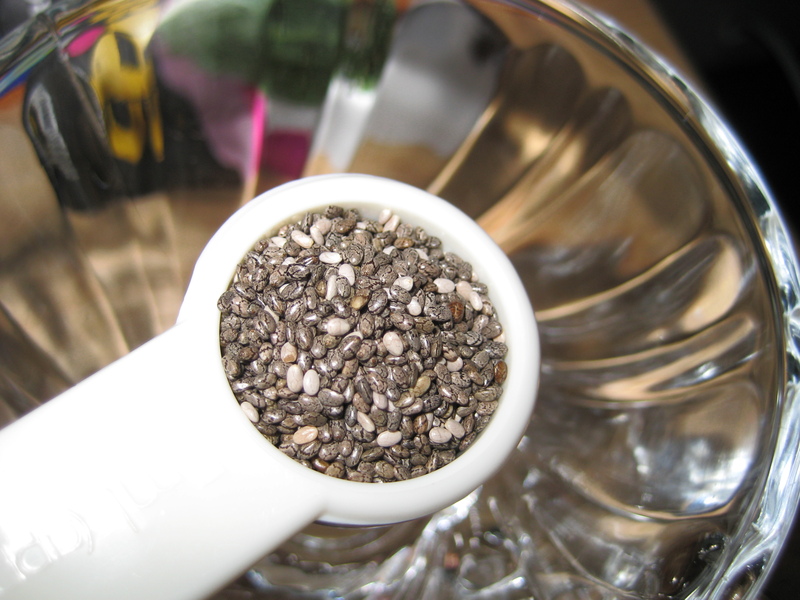 My former roommate (who also happened to be a stripper) ate chia seeds every day. I don’t think she ever tried them in coffee though. This must be one of the weirdest so far! Oh my gosh. How did you dare drinking it? If we may have requests, I request something truly nice and tasteful in the next experiment 😉 How about http://en.wikipedia.org/wiki/Beurre_noisette ? MMMMMM slimy coffee, who wouldn’t love THAT?! Wow- I think you’re my new hero. I’m glad there’s someone out there willing to try new things! Awesome! Aw thank you! You’re my hero too! 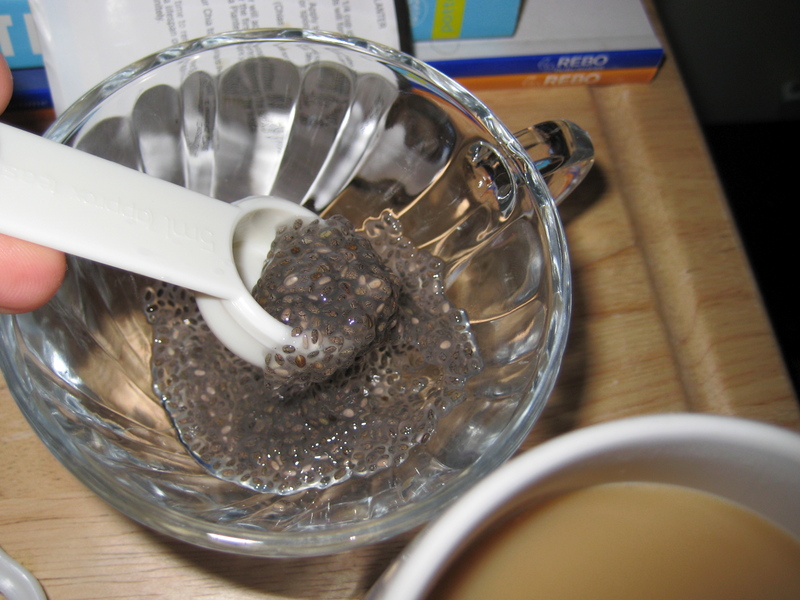 Use the CHIA POWDER, with your coffee.